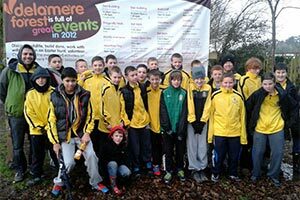 The U13s squad turned out for a 5K Delamere forest walk on Saturday 15th December to raise cash for the club. 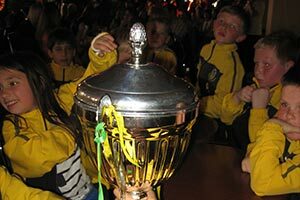 [metaslider id=12312] The boys managed to raise just over £800 to go into the junior Club and will contribute to the annual running costs. Well done to all who took part. 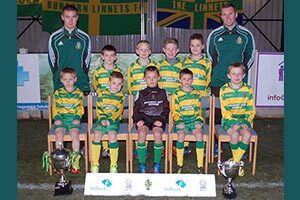 Linnets U9s and U10s attended the HDJFL Presentation evening last night at Pavilions and were presented with both age group League Trophies and the 10s received the U10s League Cup. Hover over to ‘Pause’. [metaslider id=12518] Congratulations to both teams! 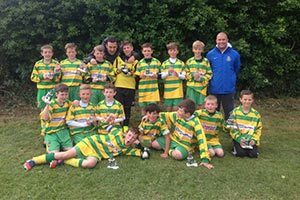 Congratulations to the U10s who beat Heath Rangers in a tight 1-0 victory at Westfield School. Hover over the Slideshow to ‘Pause’. [metaslider id=12548] A 30 yard thunderbolt from Ronnie Orme sealed a back to back League & Cup double for the team. 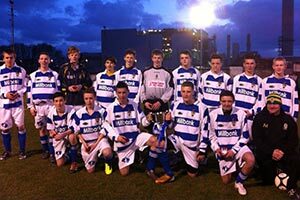 Well done to Dean, Paul and all the boys!